During a Readiness Checks of Exchange Server 2013 CU 11 installation, just about 90% into Configuring Prerequisites an error is displayed. 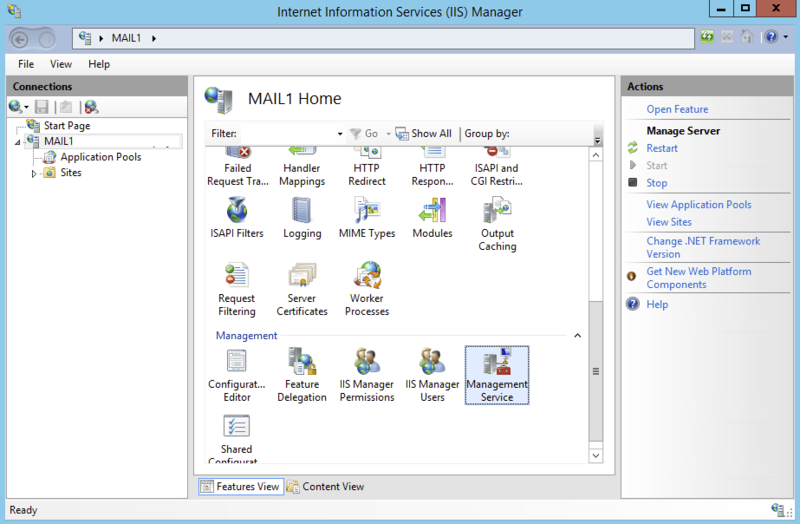 One of the crucial services for Microsoft Exchange WMSVC cannot be started. 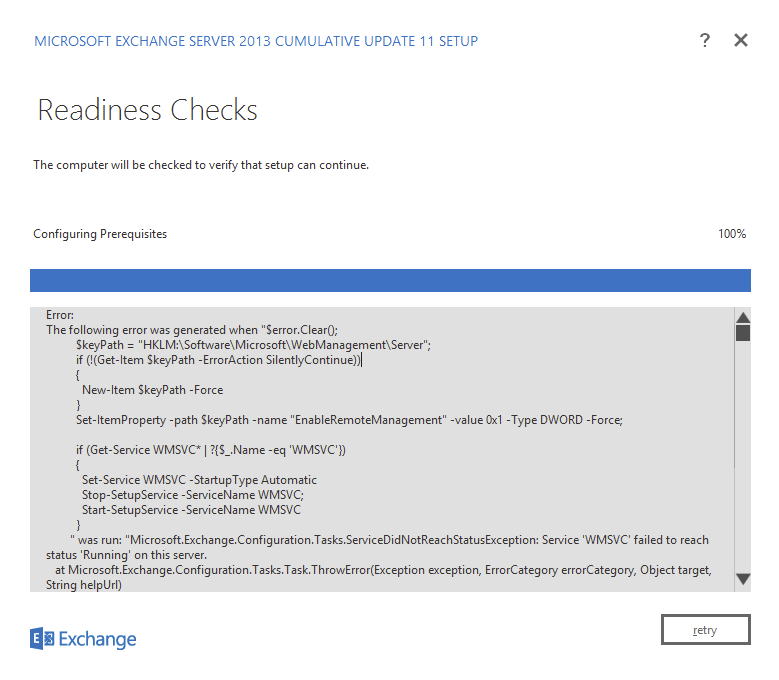 “Microsoft.Exchange.Configuration.Tasks.ServiceDidNotReachStatusException: Service ‘WMSVC' failed to reach status ‘Running' on this server. 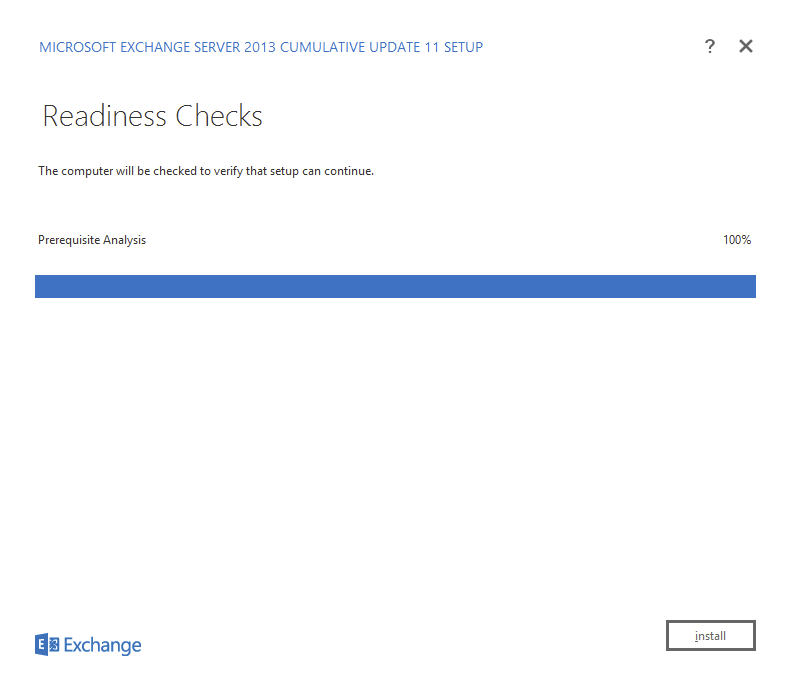 Microsoft Exchange Server 2013 Cumulative Update GUI reports an error just before finalization of the checking process. 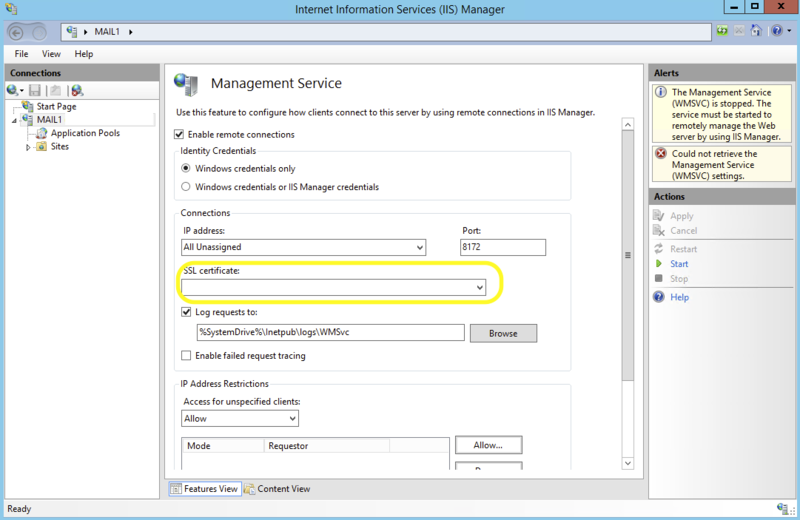 Additionally an error in Application Event Log from IIS-ISSManager is visible. Unable to read the certificate with thumbprint ‘0efba9399f2d1bc978b9761a19002806cc823778'. Please make sure the SSL certificate exists and that is correctly configured in the Management Service page. A common cause of this problem is that the WMSVC certificate has been deleted from the certificate store on the server so now Management Service has no certificate assigned causing a problem. 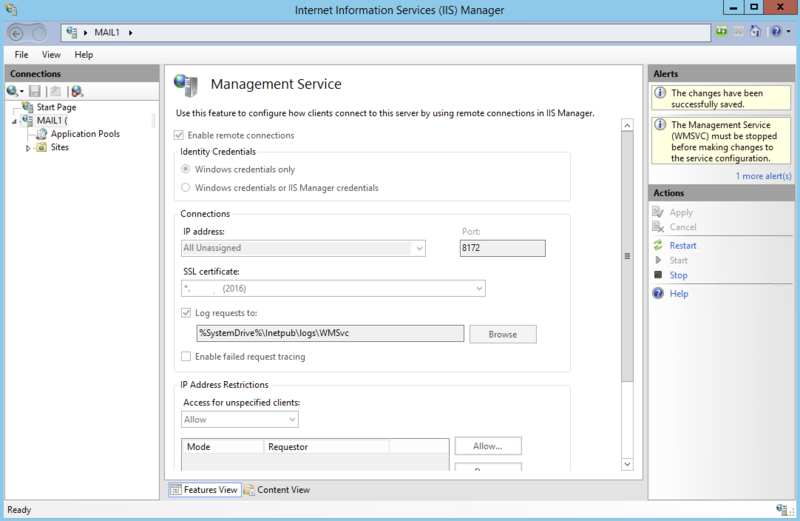 Open up Management Service option and as predicted SSL Certificate field is empty. Simply choose a new certificate in it's place, Apply the change and Start the service. After applying the certificate Readiness Checks of Microsoft Exchange Server 2013 Cumulative Update 11 Setup goes thru and installation of CU11 can be started without further problems.